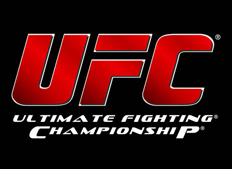 Fight fans, we have another great weekend of fight action. 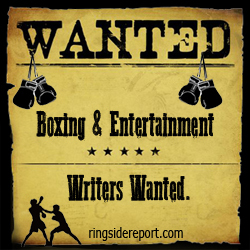 Most of the attention will be focused on the Mikey Garcia vs Robert Easter, JR. fight at Staples Center in Los Angeles, California. Across the pond, we have an interesting showdown between Dillian Whyte Vs Joseph Parker in the Heavyweight division. However, much attention should also be focused on the ESPN+ card taking place in Florida featuring Puerto Rico’s new top contender Christopher Diaz. 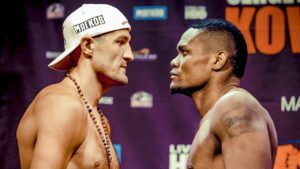 Vinny’s Views: Sergey Kovalev Vs Elieder Alvarez – The Stats, The Facts & The Fight Prediction Is In! Some celebrated boxers of pure heart and mettle seem to forge their destinies in stone long before the media and fanatic fan worshipers can transcend them into mythic beings. Once the aura of invincibility is shattered with a variable loss as all boxers encounter, the rebuilding process is always hindered with an indelible stain opposite the win column. Removing the mysterious cloak of insuperability and then the world is exposed to what a fighter is truly made of. Resiliency and fortitude become tantamount to the telegenic appeal that gave rise to the notion the champion in question had a God given impunity to losing. Case in point, enter one Sergey Kovalev; a modern day light heavyweight Russian king that wields anvils for fists and was in the long arduous process of building a legacy fit enough for the Ezzard Charles-Archie Moore era removing every obstacle place before him. Who Was Kimbo Slice and What Was He to the MMA? Many of you who are reading this article probably know who Kimbo Slice was. Well, a few years ago I myself just learned who he was and what he did. 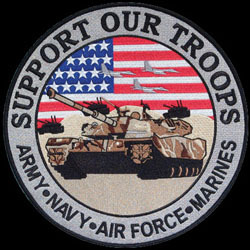 After all, I really have not followed sports much since I got married and started my career as a nurse. When I heard my brother mentioned his name many times, I really became fascinated about who this larger than life figure was. When I saw this 6ft 2in, 235lb man on the TV set, I definitely knew this man was larger than life. Kevin “Kimbo Slice” Ferguson was born on February 8, 1974 in Nassau, Bahamas. At an early age Kevin and his family moved to Miami, Florida with his mother Rosemary and his two brothers. While in high school, Kevin became the star middle linebacker at Miami Palmetto High School. Despite the fact that he had lost his home to Hurricane Andrew and was forced to live in his Nissan Pathfinder, this didn’t stop his dream of playing professional football. Kevin would go onto college and attend both Bethune-Cookman University and the University of Miami, in which he attended on an athletic scholarship. However, despite the fact that he had tried out with the Miami Dolphins and was on the preseason squad, his dream of playing professional football ended when he wasn’t picked up. Although the American Bully and Pit Bull Terrier share some of the same blood they are 2 different types of breeds. The American Bully has its foundation stemming from Pit Bull bloodline although, it is a cross breed of various other dogs. One thing that sets the Bully apart is it’s temperament as well some of its characteristic traits. Two main factors are the Bullies’ structure and temperament. According to “The American Bully Kennel Club”, or A.B.K.C. for short the breed was founded in the United States in the 20th century, the American Bully was produced using a foundation of American Staffordshire Terriers and American Pit Bull Terriers bred to several bulldog-type breeds. It was created with the sole purpose of being a family companion dog. Welterweight stars and former 147-pound titleholders Danny “Swift” Garcia and “Showtime” Shawn Porter will square off for the vacant WBC Welterweight World Championship live on SHOWTIME Saturday, September 8 in a Premier Boxing Champions event from Barclays Center, the home of BROOKLYN BOXING™. 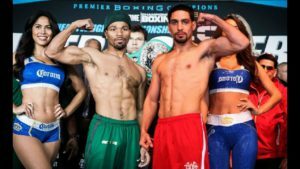 The SHOWTIME CHAMPIONSHIP BOXING® main event (9 p.m. ET/6 p.m. PT) will pit two of the division’s biggest names against each other, as the former unified 140-pound champion and former WBC welterweight titleholder Garcia meets the hard-charging fan favorite and former welterweight champion Porter. The consensus top-5 ranked welterweights face off for the WBC belt vacated by Keith Thurman as he rehabs from an elbow surgery. 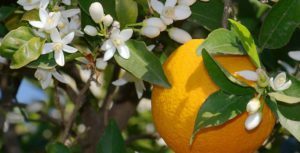 As was noted in our previous column, the orange blossom myth is and always has been a fable and a fairy tale, a story told by those seeking to attract new travelers, farmers and residents to the shores of Biscayne Bay. While it always had a certain allure, it was easy to dissect it and prove its unlikelihood if not its complete lack of veracity. Think about it! Would the greatest single person in Florida’s history simply extend his railroad sixty-five miles because a woman who was the daughter of old family friends sent him some orange blossoms? Not even a chance! The UFC Better Start Respecting the Sweet Science! In an age where UFC fans are always trying to downplay boxing many UFC fighters have tried to cross over and fight elite boxing champs past their prime. The most famous was the predictable massacre that was Floyd Mayweather, JR. Vs Conor McGregor. While fans of McGregor tried to cling on to some measure of victory claiming McGregor landed a lot of punches that were basically ineffective, most people who know boxing saw the fight for the low grade sparring match and circus that is was. As history repeats itself Canada’s version of Mayweather, JR. Vs McGregor came to a predictable end. Long Beach, California’s Jeremy Williams was one of America’s outstanding amateur boxers. 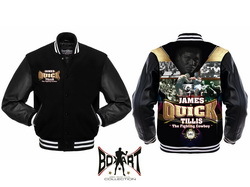 Williams was a 2 time national Golden Gloves champion, Jr. Olympic Champion and won many other titles as well as a Bronze Medal in the 1990 Goodwill Games. He lost his bid to represent the USA on the 1992 Olympic Team, losing to eventual team member Montell Griffin in the boxoffs. He finished with an incredible record of 168-4 as an amateur. He is also a member of the Golden Gloves Hall-of-Fame. 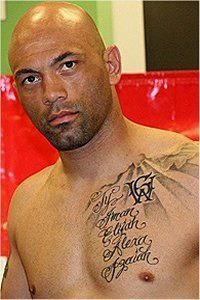 He turned professional in October of 1992 with a 2nd round destruction of 8 fight pro -Jerry Arentzen, who had already faced Peter McNeeley, and Michael Bentt. Williams was considered a “Can’t Miss Prospect”. This past weekend, not long after Oleksandr Usyk defeated Murat Gassiev, current WBO Super Welterweight World Champion Jaime Munguia, took on Liam Smith in his first World title defense since beating Sadam Ali earlier on this year. Despite the wide points victory that Munguia secured at the end of the 12×3 minute rounds, this fight was a lot more give and take than the scorecards suggested. The fresh, 21 year old Mexican, looked far bigger and heavier than former WBO World Champion and professional boxing veteran Liam “Beefy” Smith when they both entered the ring. 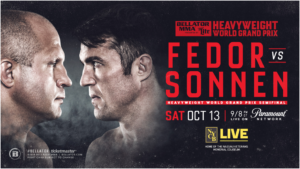 The greatest heavyweight of all time Fedor Emelianenko (37-5, 1 NC) will battle the trash-talking Chael Sonnen (31-15-1) in the second semifinal of Bellator’s Heavyweight World Grand Prix. The highly anticipated matchup will emanate from NYCB LIVE, home of the Nassau Veterans Memorial Coliseum in Uniondale, N.Y., a mere 24 hours after Matt Mitrione takes on Ryan Bader on the opposite side of the bracket. Tickets for Bellator 208: Fedor vs. Sonnen are available 24-hours early through a special Bellator Nation pre-sale running exclusively on Thursday, July 26. Tickets will go on sale to the general public Friday, July 27 at 10 a.m. 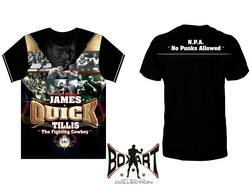 ET and can be purchased at the NYCB LIVE box office, as well as Ticketmaster and Bellator.com. Please note that tickets are not available at the box office on the first day of public on sale. Hurshidbek Normatov Keeps His Perfect Record with a 6th Round Stoppage Over Alexis Gaytan! 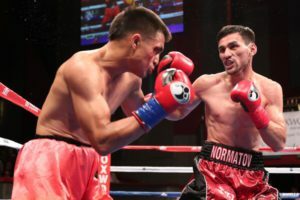 This past Saturday night, junior middleweight Hushidbek Normatov remained perfect with a 6th round stoppage over previously undefeated Alexis Gaytan at The Foxwoods Resort Casino in Mashantucket, Connecticut. The bout was exciting from the outset as Normatov came out firing looking for the early stoppage. Or is he….? 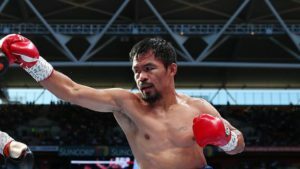 Pacquiao’s famed speed looked to be back against the Argentinian, having not fought since his loss to Jeff Horn back in July of 2017, Pacquiao has not been a regular in the squared circle for some time, so not only was there ring rust to contend with as well as a busy political life, there was also the small matter of father time, at almost 40yrs of age, Pacquiao had looked a shell of himself in his last outing against Horn. Many were of the opinion that Matthysse would be a very dangerous fight for him and a possible defeat. 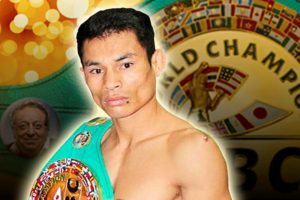 Wanheng Menayothin, 49-0, 17 KO’s is not the most popular WBC world champion in the minimum weight category (up to 47.6 kg), but the Thai is one step away from breaking the record in the number of victories without defeats of the popular ex-leader of the pound-4-pound rating Floyd Mayweather, JR., 50-0, 27 KO’s. Thai boxer nicknamed “dwarf giant” quietly records victories one by one, owning the most prestigious title in his little-known weight. Menayothin, 1.57 m tall and weighing only 47.6 kg, is more compact and much less wealthy than “Money” Mayweather, JR., an undefeated former world champion in five divisions, who last year, being retired, made a fight with the MMA star Conor McGregor and received a guaranteed fee of $100 million. This spring, Wanheng can repeat Mayweather, JR.’s record at 50-0 and leave his mark on the history of boxing. The ‘First Lady of Boxing’ and undisputed WBA, WBC, WBO, and IBF world female welterweight champion, Cecilia Braekhus, 34-0, 9 KO’s, was in action as the co-feature of the KlowdTV distributed World Boxing Super Series (WBSS) finale boxing card on July 21, 2018, as she put her undefeated streak on the line against Inna Sagaydakovskaya, 7-1, 3 KO’s, in what was her 24th consecutive title fight. The event went down in Moscow, Russia. Braekhus pitched a virtual shutout out as she used her superior form and skill to keep her overmatched opponent at bay. Braekhus won a unanimous decision and the soon to be 37 year old couldn’t have looked more impressive. July 1st came and went passing into history with a subtle evanescence as just a prelude to the “fourth” and onset of summer. Some hardened fans with encyclopedic memories still remember, but my heart will never forget that transcendent day in in 2009. 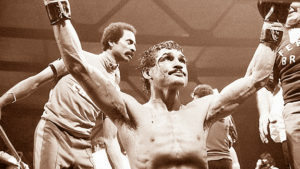 Alexis Arguello passed on from living legend to ring immortal with the echoing of a single rifle shot inside his living room. The historically proud Nicaraguan lay prone on his couch down for the forever count as his storied three decade career passed into the abyss. That month in July itself will live in the annals of sports infamy as much as “the day the music died,” back on February 2, 1959 when Buddy Holly, Ritchie Valens and J.P. Richardson died in a tiny Cessna flying in a blizzard over an Iowa cornfield. On the tragic night while Alexis was murdered in Nicaragua, an isosceles triangle of human depravity clung in the atmosphere of grey skies connecting three ring legends in three different countries over the course of three weeks. On July 11, retired super lightweight champion Arturo Gatti was murdered while vacationing with his wife Amanda Rodriguez in Pernambuco Brazil. When You Think Donald J. Trump Has Hit Rock Bottom — He Digs Deeper! Donald J. Trump’s Presidency is like an ocean trench that seems to have no bottom. Just when you think he can’t go lower you find out you are nowhere near the bottom. 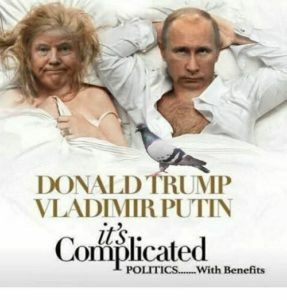 Recently he met with Russia’s President Putin with no clear agenda. For some reason he decided to break protocol and meet closed door without any White House advisors. When asked by a reporter if he held Russia accountable for hacking and influencing the election, his response was as mortifying and ridiculously inept as most epic Donald J. Trump moments. He immediately blamed America and offered his signature “blame on many sides” comment similar to his press conference after the race riots in Charlottesville. 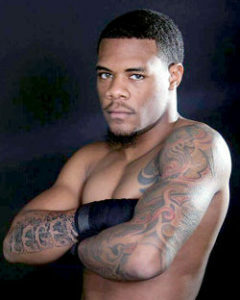 On Friday, Lamont Roach, JR., 17-0-1, 7 KO’s, faced off against Deivi Bassa, 20-5, 12 KO’s. The fight went down in Cancun, Mexico, and was the featured bout of the Golden Boy on ESPN fight card. Both fighters felt each other out in the first round. There were no major blows that hurt either fighter but Roach, JR., was the more active fighter. In the second, Roach landed a heavy right cross 30 seconds in, the most significant of the fight thus far. Bassa remained active but was again caught with a solid right uppercut that snapped Bassa’shead. Roach, JR., again caught him with a snapping left straight near the minute mark. 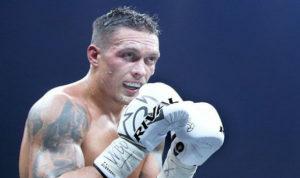 Oleksandr Usyk Beats Murat Gassiev by Unanimous Decision and Becomes the Undisputed Cruiserweight Champion! Jaron Ennis continued his knock out streak in impressive fashion in his ShoBox: The New Generation debut on Friday night as the highly-touted prospect from Philadelphia scored a third-round TKO against previously unbeaten Armando Alvarez in an exciting night of fights from WinnaVegas Casino. 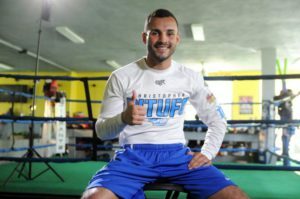 The 21-year-old Ennis (21-0, 19 KOs), a former National Golden Gloves Champion, dominated the Key West fighter Alvarez (13-1, 7 KOs) from the start, knocking him down four times in the third round before the fight was waved off with one second remaining in the round. The win was Ennis’s 11th consecutive knockout in a step-up fight for the welterweight prospect, who appeared composed in the ring from the outset.